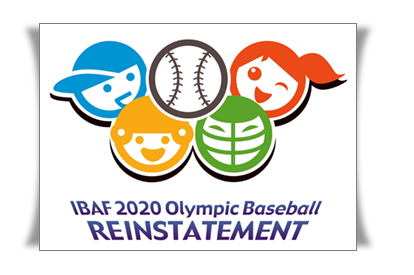 "The International Baseball Federation is leading the campaign for the return of our sport onto the program of the 2020 Olympic Games. The success of this campaign will need the support of the entire baseball community, especially the strong collaboration of the National Federations. All of our efforts must be well-coordinated to maximize and amplify our message that our sport encourages Olympism and that our values are in line with the Olympic movement. "It will be on On July 4th of this year that the IOC Executive Board will officially select a small number of sports to begin thoroughly evaluating for possible inclusion onto the 2020 Olympic Programme, and our institution remains optimistic about the initial hurdle. Further ahead at IOC Session in 2013 in Buenos Aires, the Programme will be finalized. During this important period under evaluation, we must clearly demonstrate that the development of baseball would be greatly enhanced and impacted, if it were resubmitted onto the Programme. Additionally, we need to refer to the benefits and growth of our sport due to the fact that it was an Olympic medal sport from 1992-2008. At the same time, we must prove that baseball will add value to the Olympic Games—and not simply commercial value, but with ideals like inclusiveness, tradition, sportsmanship and excellence, to name a few. "I can confirm that this is not just a campaign of the IBAF; this is a campaign that invites the entire baseball family to participate and become active by engaging the international sports community. But before we act on behalf of Baseball’s Olympic Reinstatement Campaign, I strongly suggest that all of our communications in its name share a common theme, which will help to give an image that our movement is serious, well-directed and well-coordinated. At this moment, ALL OF US can immediately implement the use of the official reinstatement logo on all official communications (newsletters, outgoing e-mails, letterheads, etc. ), which will allow us to gain exposure quickly and with no impact on budget figures. "In the future, we will be organizing press conferences and activities at strategic locations/events to further promote and strengthen the reinstatement campaign. We will need to keep the entire community aware of these events to help publicize and become involved in them. We started out with a successful campaign launch in Taipei that was well covered by the press. We need to continue on this momentum together in order to accelerate this process and gain as much exposure as possible.